Welcome to the Durham Region Umpires Membership (DRUM). This group of 30+ officials provides softball umpires to fastball and slo-pitch leagues in Durham Region, Ontario, Canada. FOLLOW US ON TWITTER @DRUMumpires. Check out the news section of this website for up to date information on DRUM activities throughout the year. There are many clinics being held in Zone 8 in 2018. Remember, it is Softball Canada policy to attend a clinic every two years. This is a great chance to further hone your skills as a Softball Canada Umpire. Level I, Port Perry, ON - Contact Dave Weller to reserve a spot. Level II, Peterborough, ON - Contact Doug Webster to reserve a spot. Level I, Pickering, ON - Contact Brian Sharples to reserve a spot. Softball Canada recently announced it will be implementing a 1-year pilot program to follow the WBSC's lead on the pitching rule and strike zone changes. See the 'Training Material' section of this website for more info. If you are interested in becoming an umpire, please fill out the application form here and someone will contact you. If you are a league interested in having DRUM umpires officiate for your league, please contact us! 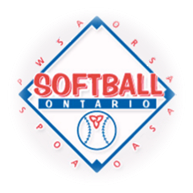 We offer very competitive rates for both fastpitch and slo-pitch leagues in the region and will work with your league to ensure you get the best service you can! Check Horizon WebRef for more details related to mid-season tournaments. Sunday, April 15th @ 1PM. 1139 Mary St North in Oshawa.